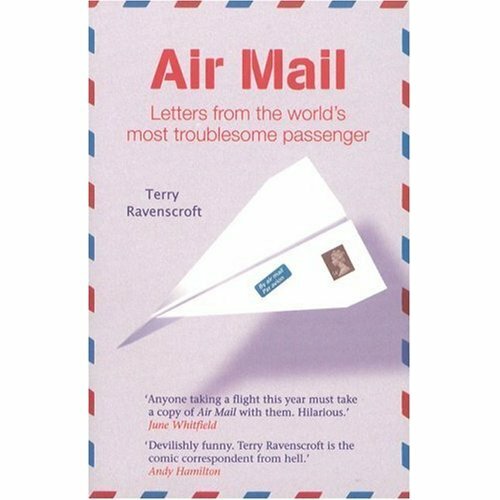 Terry Ravenscroft is one of the world's most troublesome passengers, if his letters are to be believed. "But are they?" He is probably the only man who has ever requested the recipe for an airline's lasagna or wanted to enjoy his flight with an inflatable rubber woman sat on his knee. Prepare to meet the man who must have his diet of stir-fried mulberry leaves accommodated and the man who left his false teeth on a flight and is sure he recognized them on a later flight--in a flight attendant's mouth. Ravenscroft's correspondence tackles travel annoyances like excess baggage charges alongside more surreal letters, such as the one starting out asking an Australian airline if they offer an authentic Australian experience (for instance, Australian cuisine or in-flight movies) which then moves on to the question of at what age a baby is safe from being swallowed by a dingo.